"Socialistische Partij (Netherlands)" redirects here. For other uses, see Socialistische Partij (disambiguation). The Socialist Party (Dutch: Socialistische Partij, Dutch pronunciation: [soːʃiaːˈlɪstisə pɑrˈtɛi]; abbreviated SP, Dutch pronunciation: [ɛs peː]) is a left-wing, democratic socialist political party in the Netherlands. After the 2006 general election, the Socialist Party became one of the major parties of the Netherlands with 25 seats of 150, an increase of 16 seats. In the 2010 general election the party obtained 15 seats. In the 2012 general election they maintained those 15 seats, but in the 2017 general election the party lost one and went to 14 seats. The party has been in opposition since it was formed. The Socialist Party was founded in October 1971 as a Maoist party named the Communist Party of the Netherlands/Marxist–Leninist (KPN/ML). This KPN/ML was formed following a split from the Communist Unity Movement of the Netherlands (Marxist–Leninist). The issue that provoked the split from KEN(ml) was an intense debate on the role of intellectuals in the class struggle. The founders of KPN/ML, with Daan Monjé in a prominent role, belonged to the 'Proletarian' wing of the KEN(ml), who did not want an organisation dominated by students and intellectuals. In 1972 KPN/ML changed its name to Socialistiese Partij (Socialist Party). Even in its early years, while adhering to Maoist principles such as organising the masses, the SP was very critical of the Communist Party of China condemning, for example, the support of the Chinese party for Unita in Angola (The brochure: "Antwoord aan de dikhuiden van de KEN"). Jan Marijnissen, Leader from 1988 until 2008. The SP started to build a network of local parties, with strong local roots. The SP had its own General Practitioners' offices, provided advice to citizens and set up local action groups. This developed within front organisations, for instance separate trade unions, environmental organisations and tenant associations. This work resulted in a strong representation in several municipal legislatures, notably in Oss. Also in some States-Provincial the SP gained a foothhold, especially in the province of North Brabant. Since 1977 SP attempted to enter the House of Representatives. The party failed in 1977, 1981, 1982, 1986 and 1989. In 1991, the party officially scrapped the term Marxism–Leninism, because the party had evolved to the point that the term was no longer considered appropriate. In 1994 general election the party's first members of parliament, Remi Poppe and Jan Marijnissen were elected. Its slogan was 'Vote Against' (Dutch: Stem tegen). In the 1990s, the major party of the Dutch left, the Labour Party (PvdA), moved to the centre, thus making the SP and GreenLeft viable alternatives for some left-wing voters. In the 1998 general election, the party was rewarded for its opposition to the Purple government of the first Kok cabinet, and more than doubled its seats to five. 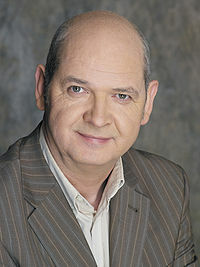 In the 1999 European elections, Erik Meijer was elected into the European Parliament for the SP. In the 2002 general election the SP ran with the slogan was 'Vote in Favor' (Dutch: Stem Voor). The party nearly doubled to nine seats. This result was kept in the 2003 general election. Leading up to the 2003 elections, the SP was predicted to win as many as 24 (16%) seats in the polls. These gains failed to materialise, however, as many potential SP voters chose to cast strategic votes for the Labour Party, who stood a good chance of winning the elections. In the 2004 European elections its one seat was doubled to two. In the 2005 referendum on the European Constitution, the SP was the only left-wing party in parliament to oppose it. Support for the party grew in opinion polls but fell slightly after the referendum. The municipal elections of 2006 were a success for the SP, more than doubling its total number of seats. This can in part be explained by the party standing in many more municipalities, but it can also be seen as a reaction to the so-called 'right-wing winter' in national politics, as the welfare reforms of the right-wing second Balkenende cabinet were called by its centre-left and left-wing opponents. In a reaction to these results, Marijnissen declared on election night that the "SP has grown up". After the untimely end of the second Balkenende cabinet and the minority government of the third Balkenende cabinet, the SP gained 16 seats in the parliament after the 2006 general election, nearly tripling its parliamentary representation. With 25 seats, the SP became the third largest party of the Dutch parliament. In the 2006-2007 cabinet formation the SP was unable to work out its policy differences with the Christian Democratic Appeal (CDA), the largest party and SP remained in opposition against the fourth Balkenende cabinet, which comprised the CDA, PvdA and ChristianUnion parties. In the provincial elections of 2007 the SP gained 54 provincial legislators more than in the provincial elections of 2003 and made it to a total of 83 provincial legislators. As a result of the provincial elections the SP has increased its representatives in the Senate of the Netherlands (upper house) to 11 from the 4 it had previously. In the 2010 general election, SP fared worse than in the previous election, gaining only 15 seats, a loss of 10, and only 9.9% of the overall vote. According to an opinion poll of January 2012, the SP would have won 32 seats and become, for the first time in its history, the biggest party of the country if elections were held. However, in the final weeks of the election, the SP's main rival, the PvdA, surged ahead in the polls as the biggest party on the left. The PvdA then won 38 seats in parliament in the 2012 Dutch election, and the SP took only 15 seats, remaining at its 2010 level. Emile Roemer, Leader from 2010 until 2017. The party was founded as the Communist Party of the Netherlands/Marxist–Leninist (KPN/ML) in 1971. In 1972 it adopted the name Socialistiese Partij, with an unofficial spelling using -iese instead of -ische. In 1993 the party changed its name to the correctly spelled Socialistische Partij. The party labels itself as socialist, but has also been described as social democratic. In its manifesto of principles it calls for a society where human dignity, equality and solidarity are most important. Its core issues are employment, social welfare and investing in public education, public safety and health care. The party opposes privatisation of public services and is critical of globalisation. SP is a member of the European United Left–Nordic Green Left (GUE/NGL) group in the European Parliament. The party is not affiliated with the Party of the European Left. The SP provides no King's Commissioners or mayors. Dutch mayors and King's Commissioners are appointed by the Minister of the Interior; the SP opposes this procedure, and wants mayors to be elected by the municipal council. The SP is part of the provincial executive (Gedeputeerde staten) in six out of twelve provinces. The SP is also part of several municipal executives (College van burgemeester en wethouders), notably in Amsterdam and Utrecht. The SP has 41,710 members as of 2016 and has grown considerably since it entered parliament in 1994 making it the third largest party in terms of its number of members but, like other parties in the Netherlands, has seen a decline in membership in recent years. The highest body within the SP is the party council, formed by the chairs of all local branches and the party board. It convenes at least four times a year. The party board is elected by the party congress, which is formed by delegates from the municipal branches. The congress decides on the order of the candidates for national and European elections and it has a final say over the party program. At the party congress which was held on 28 November in 2015, Ron Meyer was elected as the secretary of the party board. Previously he was working for the Netherlands Trade Union Confederation (FNV). Ron Meyer was elected along with 10 other party board members. Lilian Marijnissen became the leader of the party on 13 December 2017. The SP is a constant active force in extra-parliamentary protest. Many of its members are active in local campaigning groups, often independent groups dominated by the SP, or in the SP neighbourhood centres, where the party provides help for the working class. An example more of nationwide nature is the movement for a National Healthcare Fund (Nationaal ZorgFonds). This campaign demonstrates the necessity of a single payer system, and wants to remove market and commercialisation aspects of the current healthcare system. The expensive advertising annually organised by healthcare insurance companies, in order to attract new customers, is a big example. The NHS inspired movement thinks that money should solely be spent on healthcare itself. Switching from one insurance company to another can only be done once every year, as restricted by Dutch law. The youthwing is called ROOD, jong in de SP (English: RED, Youth within the SP; the word rood is officially written in capitals, but is not an acronym). The SP publishes the magazine the Tribune monthly (which was also the name of a historical Communist Party of the Netherlands newspaper). At one point, two Trotskyist entryist groups operated within the SP, Offensive, now called Socialist Alternative, and the International Socialists. The IS however was expelled on the grounds of double membership. The similar, but very small group Offensief was not considered a factor of power but its members were banned from the SP in February 2009, on the grounds of being "a party within a party". Members of the party Socialist Alternative Politics still operate within the SP. The Socialist Party has always been in opposition on a national level, although there are now numerous examples of government participation on a local and provincial level. On many issues, the SP is the most left-wing party in parliament. Between 1994 and 2002 the Labour Party (PvdA) had a conscious strategy to isolate the party, always voting against the latter's proposals. The party however did co-operate well with GreenLeft. After the PvdA's disastrous election result in 2002, the Labour Party, now back in opposition, did co-operate with the SP, against some of the policies of the centre-right Balkenende government, and their relationship improved significantly. New tensions arose however after the elections of 2006, when the SP approached the PvdA in electoral support, and the PvdA joined the government, whereas the SP did not. As of 2016 the ruling VVD-PvdA coalition has meant that the PvdA lost a huge part of its base. In the polls, the party currently stands at around 12 seats, losing 26, which has been a stable position for the last three years. Despite that, the SP has gained little to nothing, remaining stable at around 16 seats in the same polls. ^ a b José Magone (3 July 2013). Contemporary European Politics: A Comparative Introduction. Routledge. p. 533. ISBN 978-1-136-93397-4. ^ Oudenampsen, Merijn (23 May 2013). Ruth Wodak; Majid KhosraviNik; Brigitte Mral (eds.). Explaining the Swing to the Right: The Dutch Debate on the Rise of Right-Wing Populism. Right-Wing Populism in Europe: Politics and Discourse. A&C Black. p. 202. ISBN 978-1-78093-245-3. ^ Voerman, Paul; Lucardie (2007). "Sociaal-democratie nu definitief verdeeld: Met volwassen SP is het abonnement van de PvdA op de linkse stem verlopen" (PDF). NRC Handelsblad. ^ a b Watkins, Susan (May – June 2005). "Continental tremors". New Left Review. New Left Review. II (33). ^ Andeweg, R. B.; Galen A. Irwin (2002). Governance and politics of the Netherlands. Basingstoke: Palgrave Macmillan. p. 51. ISBN 0333961579. ^ Pater Teffer (28 April 2014). "Dutch euroscepticism moves mainstream". EUobserver. Retrieved 30 July 2014. ^ a b Forum For Democracy: New Dutch Eurosceptic party that wants EU referendum now polling in second place. The Independent. Author - Jon Stone. Published 19 February 2018. Retrieved 9 April 2018. ^ Rutte’s support steady in Dutch local elections. POLITICO. Published 22 March 2018. Retrieved 9 April 2018. ^ "Nieuw Haags Peil". Archived from the original on 8 March 2016. Retrieved 24 February 2012. ^ Introducing the Dutch Socialist Party. Socialist Party (Netherlands). Retrieved 15 June 2017. ^ "SP ledentallen per jaar (1992- ) - Documentatiecentrum Nederlandse Politieke Partijen (DNPP)". Archived from the original on 12 December 2016. ^ FNV. "About FNV - FNV". www.fnv.nl (in Dutch). Retrieved 8 August 2017. ^ Lilian Marijissen takes over as Socialists’ leader as Emile Roemer quits politics. Dutch News. Published 13 December 2017. Retrieved 13 December 2017. ^ Partij, Socialistische. "An activist party". ^ "Op naar een Nationaal ZorgFonds". Op naar een Nationaal ZorgFonds, zonder eigen risico (in Dutch). Retrieved 8 August 2017. Anja Meulenbelt & Harry van Bommel, "The promised land, the stolen land". (March 2007) (A summary of the study by Anja Meulenbelt and Harry van Bommel). Wikimedia Commons has media related to Socialistische Partij. Speech by former SP leader Jan Marijnissen at the congress of the Socialist Left Party of Norway, which gives an overview of the SP's history and policies (24 March 2007).